This article is an update to the story: NASA’s InSight to Land on Mars Monday. 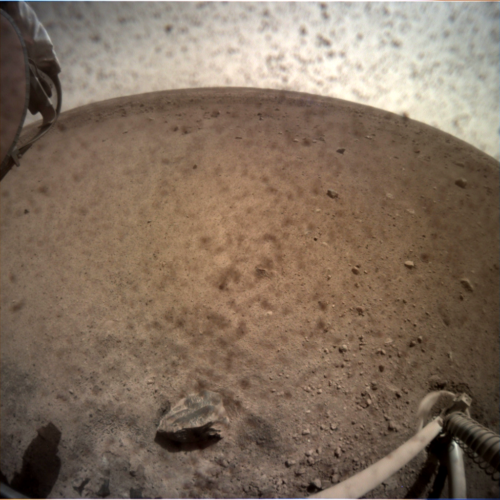 NASA’s InSight Lander touched ground safely on Mars on Monday. NASA scientists listened carefully as reports from the InSight Lander gave them updates on the progress of the spacecraft. Because of the distance between Earth and Mars, the information came in several minutes after it had already happened. NASA’s InSight Lander touched ground safely on Mars on Monday. This is a picture it sent back of the ground below it. People clapped as word came back that the lander had passed each new challenge during the landing. When the InSight finally touched down, the control room broke into cheers. The InSight has already unfolded its solar panels to collect the energy it will need to work. The lander is testing different parts of its system to make sure that there are no problems. So far, everything is good. The InSight has already sent some pictures back, and will send more in the future. 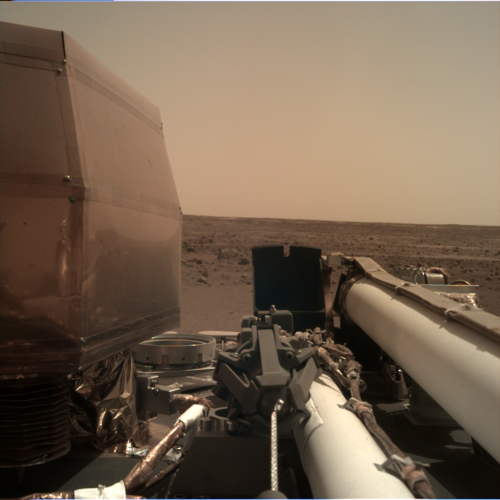 The InSight has unfolded its solar panels and is testing different parts of its system to make sure that there are no problems. This picture was sent back by the InSight.